Mastersound Studio consists of two control and recording rooms. Equipped with state-of-the-art studio equipment, we are able to accomplish any conceivable production. Productions can either be done in control room 1 or in control room 2 – the choice depends on the customer’s requirements and the budget available. Due to the fact that control and recording rooms are compatible with and linked to each other, productions can also be booked in combination with both control rooms. Fair prices and a relaxed atmosphere are a matter of course. We offer custom-made studio productions such as recording and mixdown up to final masterings. As far as music genres are concerned, we are open-minded to all different kinds of music, from pop, rock, alternative, electro, gothic up to metal of any shade. Moreover, the field of mastering and multimedia has gained more and more importance during the recent years. However, we have already been working successfully in this field for a longer time. Since we ourselves have been experienced musicians and artists for years, it is of great importance to us that every band having decided in favour of our studio receives maximum attention. Be it a well-known established artist, a young talent or a newcomer act – we aim at a felicitous cooperation with our customers. Hence, we are concerned with the utmost implementation of each of our customers’ wishes. Evidence for our success is provided in the huge number of artists constantly returning to Mastersound Studio for their recordings and who recommend us to other acts. Unfortunately, we cannot ensure that you will have a chart entry – this is always up to the audience. 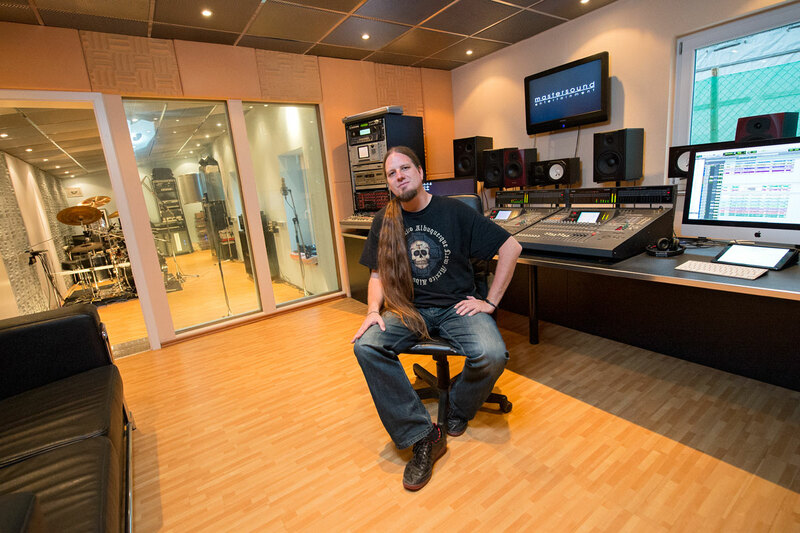 Our producer, Alexander Krull, enjoys an excellent reputation as a producer as well as a mastering engineer. He has played a considerable role in many well-known productions and what is more, he is also responsible for the productions of his own bands ATROCITY (e.g. the chart breaking albums “Werk 80″, “Werk 80 II” and “Gemini”) & LEAVES’ EYES (e.g. the chart breaking albums “Vinland Saga”, “Njord”, “Meredead”, “Symphonies of the Night”, “King of Kings”, “Sign of the Dragonhead”). Furthermore Alexander Krull was working for labels as A&R, Head of Promotion and Marketing and A&R talent scout (Roadrunner Records, Napalm Records and Massacre Records). Beside the studio area, there is a cosy and big recreation room with access to the internet, satellite TV, Video, DVD, a Playstation 2, Dolby 5.1 home cinema set and our completely equipped kitchen, as well as our bathroom with a shower cabin. Mastersound Studio is sorrounded by a beautyful landscape, perfect for a walk in the forest to relax after working in the studio.